Here is another update on contracts signed or books released by alumni this year. We feature three terrific authors Annie Daylon, Tara Nanayakkara and Marianne Jones. Later in the month I hope to feature a few more excellent writers and new works. In the meantime, don’t forget to enter the Instant Hook Writing Contest (postmark deadline December 7). It’s fun, useful, free to enter and has a cash prize. Canadian – Sri Lankan author Tara Nanayakkara has been very busy! 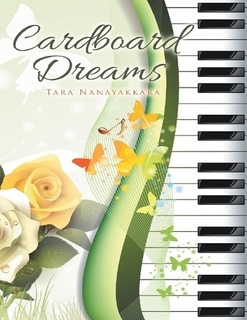 She has just released her latest book Cardboard Dreams and will launch Dawning of a New Garden her sequel to the beautiful Priya’s World through Inanna Publications in 2016. Life is somewhat normal for Vijay and Siyara Pereira—until the blustery night when Vijay’s brother and sister-in-law are killed in a car accident, leaving their temperamental teenager, Jake, an orphan. After Vijay and Siyara take in their nephew, Siyara realizes she understands Jake better than anyone and begins to love him like a son. Through a shared bond of unfulfilled dreams, they both try to forge their respective paths: Jake through his music and Siyara through her work. But when Jake becomes seriously ill, Siyara’s world begins to implode as her shaky marriage shudders under the weight of too many secrets. Just when it seems that Siyara has no choice but to continue down a lonely path, a confession leads her to a shocking truth that will change everything. Cardboard Dreams is a touching story about love, loss, and betrayal as a woman and her nephew embark on separate journeys of unrequited dreams where each finds an underlying spirit of hope and triumph in the face of adversity. Confronted with the task of re-inventing her life, young widow Priya grieves by researching spiritualism for a new age magazine and spending time in the garden her late husband, Gabe, had tended. Human contact is limited to an elderly nursing home resident, Jeevan, who is from her father’s native land of Sri Lanka. Soon Priya is drawn further into Jeevan’s world which includes a mysterious nephew, Suresh. Despite rigid religious views, Suresh takes advantage of Priya’s vulnerability. Soon an isolated Priya finds herself facing the prospect of either single motherhood or a loveless marriage. While her Canadian and Sri Lankan friends Meg and Shobi conduct a tug of war over Priya’s destiny, Suresh’s jealous and coercive tactics prevent her from exploring a third possibility; kindly neighbour Ryan is the only person whose presence gives her a genuine sense of solace. Priya finds her life is mired in uncertainty, but as spring begins to stir, the garden Gabe planted begins to speak to her of new life and fresh possibilities. Poet, fiction author and children’s story writer, Marianne Jones, the winner of last year’s Instant Hook Writing Contest, is also the place winner in the Word Alive Publishing Contest with The Girl Who Wouldn’t Die. 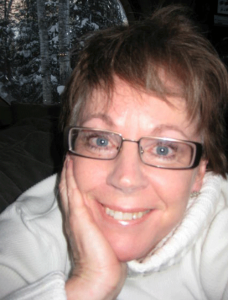 This biography of Linda Stewardson was launched on November 7. “When I first heard share her life story, I was, like everyone else in the room, transfixed,” says Marianne, “I knew I had to write it in a book so that all the world could know her incredible journey.” See the contest details. See Marianne’s website with a host of other publishing activity. 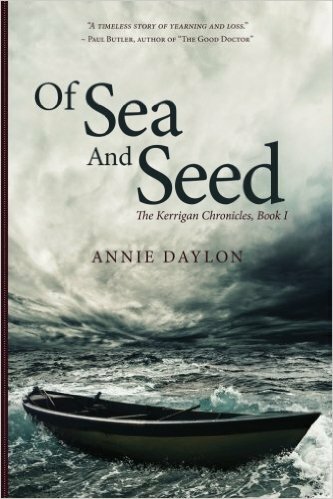 Set on the rugged island of Newfoundland, Of Sea and Seed takes the reader on a tragic journey through the 1920s as one family strives to hold onto life in the face of secrets, betrayal, and a devastating tsunami. Chronicling this journey is the family matriarch, Kathleen Kerrigan, who is condemned to an afterlife of atonement for the depth of her crimes. But what possible mortal sin could cause heaven to banish this loving mother, grandmother, and storyteller? A poetic, literary masterpiece, this first book of The Kerrigan Chronicles illuminates the depths of the human heart as it follows three generations suffering from toxic family secrets, shocking betrayals, and the harsh everyday reality that accompanies a life entangled with the sea. This suspenseful account of life in early twentieth century Newfoundland is as lovely as it is heartbreaking.